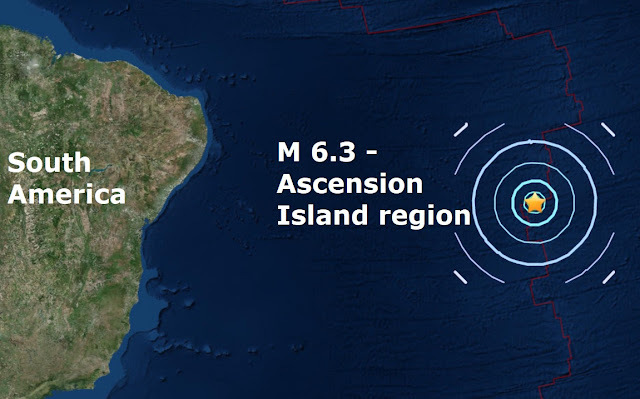 A shallow magnitude 6.3 - Ascension Island region is the 7th major quake of November and the first one to strike outside the Pacific ring of fire. Todays quake is the 93rd major quake of a very quiet 2017 as this year promises to be the lowest total of major quakes this century. Earth is inside a stream of solar wind flowing from a wide northern coronal hole on our Sun.